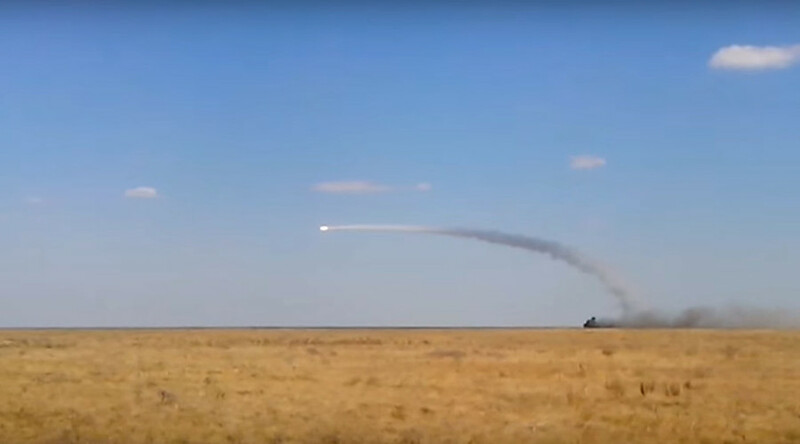 The Russian Defense Ministry has released rare footage of a Tor-M2U surface-to-air missile launcher firing on the move, a feat as yet unachieved by any competitor. The launcher was driving off-road at 25 kpm/h and successfully hit a Saman practice target with the first missile fired, the ministry said. The test was performed this summer at Kapustin Yar test range in Arkhangelsk region. Various models of the Tor short-range air defense system have been used by Russian Ground Troops, the service arm corresponding to the US Army in the Russian armed forces, for decades. The capability to fire on the move is what distinguishes the M2U modification of the Tor. The benefit is that it can respond to a surprise attack and that a moving column doesn't need to stop to get protection, as was the case with the previous models. Producer of the system, Almaz Antey, said at the time that teaching the old dog the new trick was challenging, but the result brings Tors to a new tactical level. The ministry also released footage of a night test-fire of the S-300 long-range missile system, which was used to destroy a new target missile called Pensne (Pince-nez). The target mimics advanced fast-moving rockets and has been used in Russia for air defense practice starting this year. The S-300 launcher used in the exercise was one of the newest S-300V4 modifications. The footage was released on Saturday to celebrate the 100th anniversary of the Russian Air Defense Forces.